I made myself some cute bow rings last week, I made six of them. My daughter liked my aqua (my favorite too!) one so much that she stole it and lost it before I had a chance to get any pictures of it, guess I'll just have to make more! 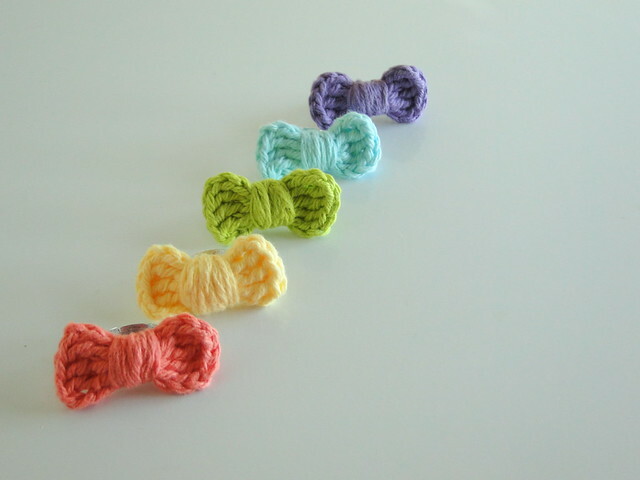 I used Adaiha's Super Simple Crochet Bow pattern and they are just that, super simple. I used a 3.75mm hook and cotton yarn in hot purple, robin's egg, hot green, banana yellow and tangerine. I wrapped the centers around the ring and tried to weave the end in best I could so the bows don't easy fall off. They're really so easy to make, I think I made all of them in under an hour. I've been having a lot of fun wearing these rings, they're my favorite new accessory. oh my those are so cute. 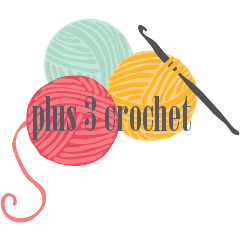 I am going to check out the pattern thanks for sharing. You share such awesome projects. So cute! Love the colors!! Nederlands is zeer slecht omgezet!!! !